Associate Professor Dr Jason Varuhas presenting at the 2016 Public Law Conference at the University of Cambridge. 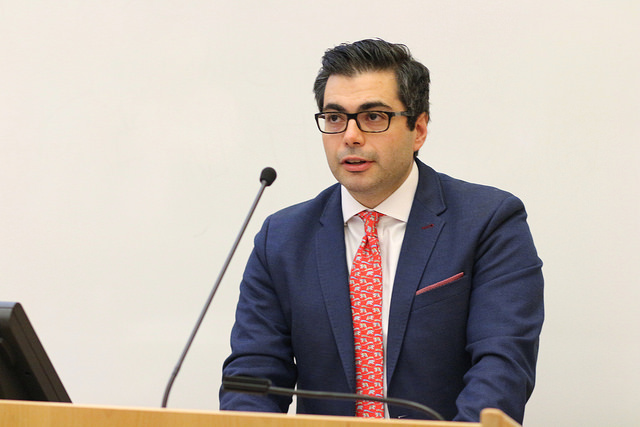 Co-convenor of the conference and MLS Associate Professor Dr Jason Varuhas reflected that the 2016 event, which brought together over 200 delegates and 60 speakers from 25 different common law jurisdictions, was a success. “It is intended to be an academic conference first and foremost, and to facilitate our goal of fostering dialogue between people from different common law jurisdictions,” Varuhas said. Five MLS academics presented at the conference, with Laureate Professor Emeritus Cheryl Saunders AO delivering a plenary address on Transplants in Public Law, and Associate Professor Jason Varuhas, Associate Professor Farrah Ahmed, Glenn Patmore, and PhD student Anne Carter all delivering papers. Carter was a runner up for the inaugural Richard Hart prize, which recognises the best paper delivered at the conference by an early career scholar. Varuhas and Saunders also chaired conference sessions. 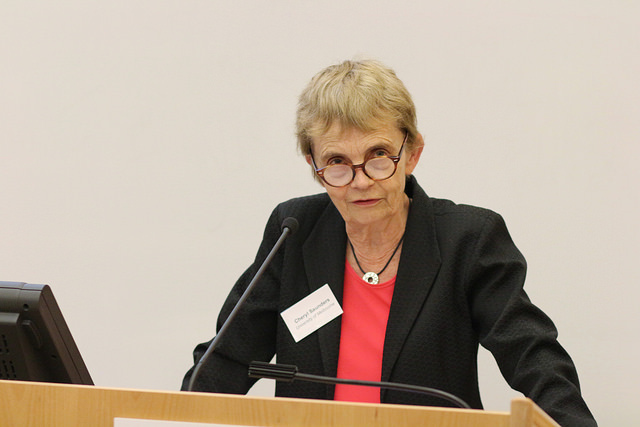 For Varuhas, highlights of the 2016 conference included the establishment of the Richard Hart Prize for early career scholars and dedicated panels on the conference programme for doctoral students to present their research, while the conference also provided an opportunity to hear from leading members of the judiciary from across the common law world. “There was an opening session which featured Chief Justice French (Australian High Court) and Lord Reed (UK Supreme Court) and they discussed the citation of foreign authorities by apex courts. The keynote address was delivered by Dame Sian Elias, who is the Chief Justice of New Zealand,” he said. Varuhas is excited that in July 2018, the conference will be held at Melbourne Law School, the first time it will be held outside of Cambridge. July 2018 will be a busy month for MLS, with the Law School also hosting the biennial Obligations Conference, a leading forum for private law common lawyers convened by MLS Professor Andrew Robertson. “It is a big moment for the Law School to host both of these major international conferences in 2018,” Varuhas said. Varuhas expects the 2018 Public Law Conference to follow a similar format to previous events, with about 300 people likely to attend. Laureate Professor Emeritus Cheryl Saunders AO presenting at the 2016 Public Law Conference. MLS is well represented in the planning stages, with Varuhas again the co-convenor alongside Cambridge University’s Professor Mark Elliott. Melbourne’s Laureate Professor Emeritus Cheryl Saunders AO and Centre for Comparative Constitutional Studies Director Professor Adrienne Stone are both members of the conference advisory board. Varuhas is delighted that the Public Law Conference is helping to address a gap in the market for an academic forum on public law that he identified when founding the conference in 2014. In 2017, Laureate Professor Emeritus Cheryl Saunders AO and Associate Professor Jason Varuhas will be jointly running a new subject, Public Law and Private Law, as part of the Melbourne Law Masters program in 2017.